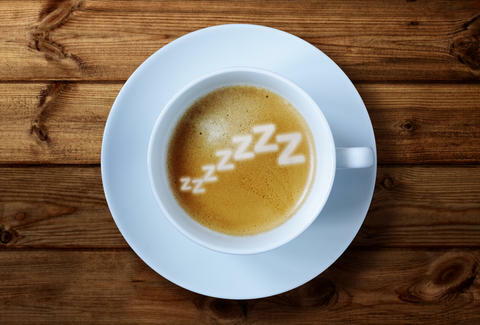 If you're addicted to coffee (don't worry, this is a safe space -- so are we), you know that it can sometimes interfere with your sleep cycle if you drink it late enough in the day. And since not everybody wants to stay up all night, people who just enjoy the taste of coffee aren't necessarily able to enjoy it whenever they want. But like chamomile tea is to British people, so will Counting Sheep Coffee's new 40 Winks blend be to the non-British masses. Because it'll help you fall asleep. The 99.9% decaffeinated coffee (which becomes so through a natural procedure called the Swiss water process) has been augmented with valerian root, a slightly bitter herb whose taste is counterbalanced by the quality of the coffee to create a breakfast-y drink that'll actually make you feel drowsy. So you should probably keep it separated from your normal stash. Counting Sheep Coffee was founded in Vancouver, and is available for sale across America and Canada in bags and K-Cups. Now you can enjoy your coffee like you enjoy your pizza bagels -- anytime. Adam Lapetina is a Food/Drink staff writer for Thrillist, and prefers to just eat a sleeve of Oreos before bedtime. Read his musings at @adamlapetina.